Best Seller! 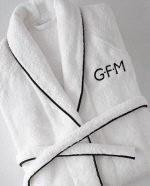 100% Egyptian Cotton White Waffle Weave robe that gets softer and softer over time! Approximately mid-calf length and generously oversized for comfort. These fine robes are sized to fit both men and women. Monogramming: Signature Monogramming about 2 weeks. Couture Hand Monogramming about 4-5 weeks. 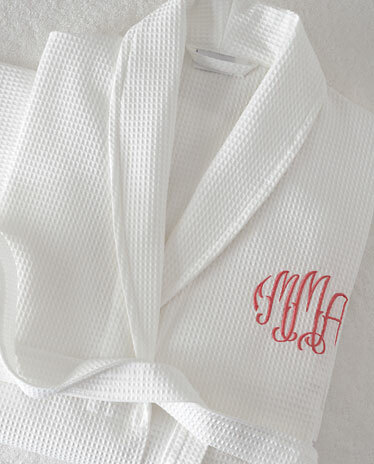 Add your monogram selection below.